As the nation’s largest recipient of federal funds, “Sanctuary California” could face bankruptcy if President-elect Donald Trump pulls billions in federal funding over the state’s refusal to comply with immigration laws. The federal government provided 37 percent ($93.6 billion) of California’s $252.5 billion in total estimated government spending for fiscal year 2015. That works out to $6,451 for every man, woman and child in the state. Los Angeles Mayor Eric Garcetti and other big city Democrat mayors have vowed they will not comply with U.S. Immigration and Customs Enforcement (ICE) detainer requests for immigration holds. In August, the Department of Justice’s Inspector General (IG) issued a memorandum that advised that sanctuary city practices violate federal law. That finding will enable Sen. Jeff Sessions, if confirmed as U.S. Attorney General, to strip sanctuary cities — including New York, Los Angeles, Chicago, and Washington, D.C. — of certain federal law enforcement grants. Sessions will also have the ability to file court orders to strip federal grants from any government entities refusing to comply with U.S. laws. 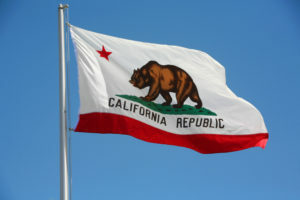 According to a Breitbart News report in May, Moody’s Global Credit Research’s fiscal stress-tests found that California was already the least prepared large state to weather the next recession. “The credit rating service followed up in August with a warning to municipal bondholders that the plummeting financial condition of many California counties, cities, school districts and other agencies would soon result in large numbers of municipal bankruptcy filings,” the report said.